“Congratulations on becoming a Fellow for SDA, now you can sit back and relax after all your hard work for the organization!” I heard this quote and others very similar to this at EDS18 in Salt Lake City. This could not be farther from the truth! I am very honored to be among the inaugural class of Fellows. The Fellows program was not only created to recognize these individuals who have already achieved the Fellow requirements of industry experience, service, publications/presentations, and mentorship, but to establish a clear vision, goals, and path for mid-level administrators and managers to up their game in their pursuit of excellence in design firm management. Those who wish to follow the path to Fellow should now have a clearer understanding of what it takes to succeed in our profession, our industry, and our Society. 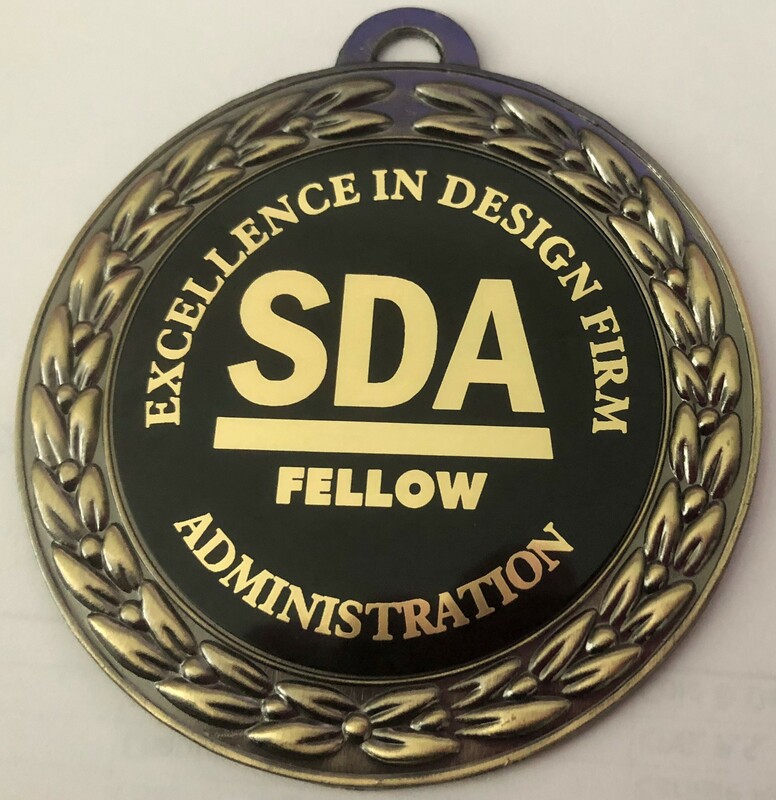 With so much focus on the A/E professionals, their advancement and successes in our firms, the SDA Fellow designation is a visible goal to strive for and an accomplishment to gain for the business professionals in the A/E industry. The application also states: “In addition, the Fellows program is designed to identify senior-level members who are willing and able to continue to advocate for best management practices within the SDA and the A/E/C community through educational presentations and written resources such as white papers, blogs, and social media, as well as other contributions that promote design firm excellence. So, as Fellows we still have work to do. During EDS18 the inaugural class of Fellows met to discuss our initiatives and strategy to implement the many things that we would like to accomplish. We are a resource to help our members and the Society to continue to grow and to advance our recognition in the industry. The next Call for Fellows application will be released soon, and we look forward to having more members become Fellows next year. If not now, but you anticipate setting this as a personal goal further in the future, take a look at the application now. It may give you guidance for your own continued professional development and service within your community. What questions do you have about the process of becoming a Fellow? Place them in the comment box below. Debra Ellis, FSDA is the Office Manager for Barker Rinker Seacat Architecture in Denver, CO.
SDA National President, Susan Lankey, CDFA returns with her August President's Message and shares what's happening in SDA! It is summertime and songs about this season have gotten in my head. There are a number of songs with the title “Summertime.” Some of the more famous versions are sung by Ella Fitzgerald (Summertime when the living is easy). Then there is DJ Jazzy Jeff and the Fresh Prince (Summer summer, summertime). Or maybe you prefer Kenny Chesney’s version (Summertime is finally here; that old ballpark, man, is back in gear). These songs evoke memories of past summers. When listening to Ella’s version, I remember sitting on the porch, looking over the fields, while sipping a glass of cold lemonade or iced tea. Will Smith’s version evokes memories of times spent in the park picnicking or barbecuing with the family, playing badminton and other games, and “cruising” later in the evening with my friends. While Kenny Chesney’s version takes me back to the baseball games we played and time spent at the swimming hole. They remind me that summer is a time for fun; a time to relax; a time to rejuvenate; a time to recharge my batteries; and a time to enjoy vacation with family and friends. But like so many Americans I don’t often take an extended vacation during the summer. Bankrate* (a consumer financial services company) issued a press release on May 23, 2018 that indicated 49% of Americans do not plan on taking a vacation this summer. The question comes to mind - Why don’t American workers take vacation? They don’t have a paid vacation benefit. According to the Society for Human Resource Management, almost all employers offer some sort of paid vacation plan. However for many small businesses vacation is not a benefit they can afford to provide their employees. Workers have concerns about returning to a mountain of work. Or they have a “martyr” complex where they believe no one else can do their job. 22% of workers believe they can’t take time off per the Bankrate report. There are many underemployed or gig workers in today’s workplace. For this reason, many workers may have to juggle several part time jobs. This could result in scheduling conflicts that make it difficult to take a vacation. Employees may have family obligations that prevent them from taking a vacation. According to the Bankrate press release, 25% of those who do not plan to take a vacation cite family duty as a reason they can’t get away. Affordability may also be an issue. Perhaps they have no money for an extended vacation. Bankrate reports 50% of workers who are not going on vacation say they can’t afford a summer getaway. 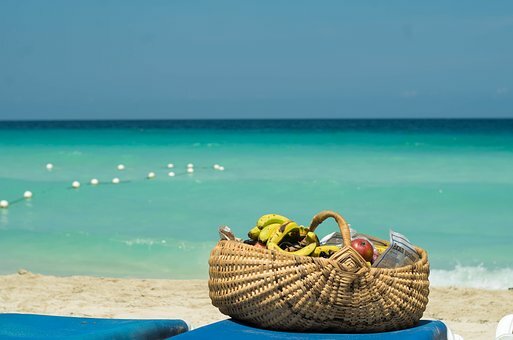 In spite all of the reasons listed above for not going on vacation, it is important we plan to spend some time away from the office for our own well-being. You need to take a break. Why run the risk of being burned out and not having enough energy to fully experience life. Taking a break from work will make you more productive when you return. You can day dream. When you take the time to just let your mind wander, you can think of more creative ways to solve problems. A vacation is relaxing. It allows you to recharge your batteries. Taking a vacation makes you feel more energized and less stressed. Vacations can help us maintain focus. We’re better able to concentrate on what needs to be done and not be easily distracted. Vacations can improve our sleep. When I’m on vacation, I tend to sleep longer. That extra hour or two of quality sleep really makes a difference in my stress levels. Vacations strengthen our relationships. You forge stronger bonds when you take the time to give your family as much attention as you give your work. Remember your family will be with you long after your work life is over. That’s what I plan to do. I live in the DC Metropolitan Area. Because I can “see them at any time,” I don’t always take advantage of the opportunity to visit the museums, art galleries, or take advantage of other activities in the region. For my staycation, I’m going to “act like a tourist”. I will visit the museums, the art galleries, and go to the National Mall. Maybe I’ll attend a Nationals baseball game or go see the Mystics (the WNBA team) play. And for my next mini-vacation I’m going to do little or nothing – just relax, sleep in, read a good book, have fun, and reset before returning to work. It’s summertime. A time for rest, relaxation, and rejuvenation. A time to recharge your batteries. So let your hair down and let loose. Do something spontaneous. Be creative in how you spend your summer vacation – be it long or short. It’s summertime. Enjoy. What are your summer vacation plans? Share them in the comment box below. She also serves as the 2018-2019 SDA National Treasurer.